Farming and harvesting of fish is done on a large scale in different parts of the world as fish is one of the most delicious and healthy food item. Pisciculture alias Fish Farming is the breeding, rearing and transplantation of fish by artificial means. It is a scientific technology for getting maximum fish production from a pond / tank or other enclosures through utilisation of available food organisms supplemented by artificial feeding. The word Pisciculture is derived from the Latin word 'piscis' meaning 'fish' and 'culture' means 'rearing'. Pisciculture can also be defined as a branch of animal husbandry that deals with rational deliberate culturing of fish/ fishes to marketable size in a controlled water body. It is the principal form of Aquaculture. Pisciculture may be confused with Fishery Science, since both deal with the cultivation and harvesting of fish. The major difference between these is in the method of producing fish. Fishery Science deals with all the aspects about cultivation and harvesting of fish on commercial basis in fresh water, brackish water and any marine environment. Whereas Pisciculture/ Fish Farming involves with the artificial way for breeding and cultivation of fish usually in large tanks and enclosures named hatchery. Fish hatchery is the facility that releases young fish into the wild for recreational fishing or increasing the supply of desirable food-fishes. In other words, it is a unit where fish eggs are hatched artificially into fry. Some of the common fish species raised by fish farms include salmon, katla, catfish, tilapia, rohu, mrigal, carp, cod and others. Pisciculturists are individuals specialised in the culturing of fish. 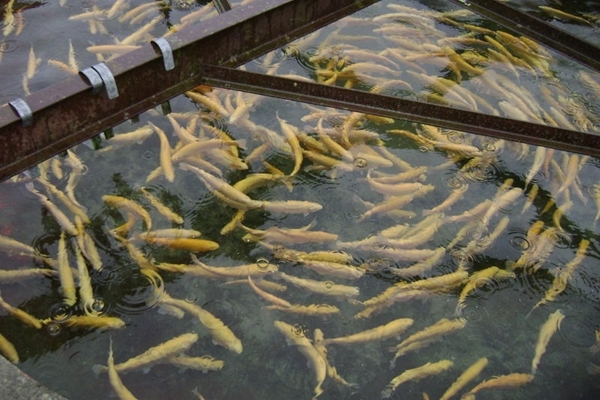 They carry out scientific fish breeding and cultivation, and implement various methods of artificial propagation, i.e. fish hatching. One type of fish hatching is the method of collecting eggs from the female fish and fertilizing them in a small quantity of water - fresh or salt as required. Then it is kept in a special vessel provided with a suitable stream of water until the fry (newly hatched fish) are hatched or are active and hardy. Another method of fish hatching is keeping the adults alive until they are ready to spawn, and then stripping them or by keeping them in reservoirs of seawater and allowing them to spawn on their own accord. Since Pisciculture courses are very rarely taught in Indian colleges, anyone who has a Bachelor's degree in Fishery Science from any recognized institute can become a Pisciculturist. The eligibility criteria for joining Degree courses in Pisciculture and Fishery Science is 10+2 or equivalent examination with biology as subsidiary (elective) subject. The duration of B.F.Sc course is 4 years and most colleges/ universities admit students through an All India level common entrance test conducted by ICAR (Indian Council of Agricultural Research), New Delhi. Some institutes conduct their own entrance test. Department of Fishery Science of St. Anthony's College Shillong, Meghalaya offers 3 years B.Sc Honours program in Pisciculture. This course provides students strong theoretical and practical foundation, which enable them to pursue an academic career in a variety of Post Graduate courses in Fishery Sciences and related fields in recognized universities across the country. The fish hatchery complex at the college provides hands-on experience to the students in the rearing of fish and management of fish farms. Madurai Kamraj University offers 1 year Diploma course in Pisciculture for 10+2 science students. Course in Pisciculture help students to learn all new methods of rearing fish through non-natural methods. They can gain knowledge in various techniques of fish breeding, how to take care of fish and to transport fish to proper places safely. Students completing these courses would have good knowledge to take care of production of fishes which will help in increasing its population. After completing graduation, one can pursue 2 years M.F.Sc. (Masters of Fisheries Science) and there after go for research (take up Ph.D). Those who are interested in fish rearing can specialize in the study of fish breeding and their life patterns and diet. Good analytical and research skills as well as an inquisitive mind. dealing with the public or trade customers. Employment opportunities are available for trained pisciculture professionals in various fish breeding farms, fish research centers and hatcheries. Post graduates in this field can join as pisciculturists in government, non-government and international organizations. A Pisciculture /fisheries graduate can apply for the post of Assistant Fisheries Development Officer (AFDO)/ Fisheries Extension Officer (FEO) and District Fisheries Development Officer. One can join as supervisor or manager in fish farms. Most fish farms only have few staff, so managers often do most of the duties in the farm as well as supervising fish farm workers. Those who have land and can raise enough capital, can start up their own farm, which is more lucrative. To excel in this field, much experience is needed. It is a profession that requires lot of hard work and dedication, as they have to work for hours and need to move between farms. The remuneration of Pisciculturists vary with their experience, post and position. However it depends entirely on the effort of an individual. Pisciculturists with own farm can expect to earn anything between Rs. 2,00,000 to Rs. 2,50,000 per annum from an acre of land. A fresh pisciculturist can earn a starting salary of Rs 10,000-15,000 per month which increases with increase in experience. Those working in private or government sector organizations can receive a good salary of more than Rs. 25,000 per month.